The testing and judging will take place in November of 2013 on the National Mall in Washington, D.C.
"The Ideal Steel Hybrid stove is designed to be clean, efficient, affordable, and fun to use. The Ideal Steel Hybrid stove is an advanced performance hybrid: it employs secondary combustion and a catalytic combustor, along with a self-regulating air/fuel ratio for maximum output and efficiency. 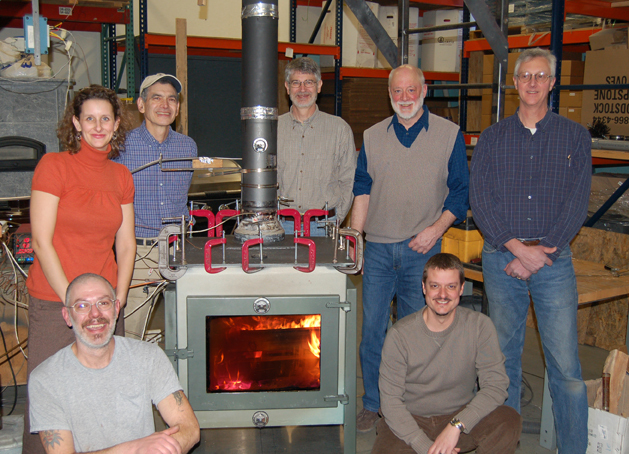 The Ideal Steel Hybrid stove is also a materials hybrid, using steel, cast iron, and soapstone to build durability and thermal mass into an affordable final product. The styling of the Ideal Steel Hybrid stove pays homage to American Industry and Manufacturing by incorporating an industrial design aesthetic." 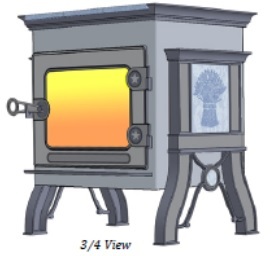 The Ideal Hybrid will have a firebox of approximately 3.3 cubic ft., and burn cleanly at a wide variety of outputs. The Ideal Hybrid will be front loading only. More details will be provided in the coming months. will this be epa certified?